Well on its way to being Most Darkest. But it’ll never get there. For there can be only one Most Darkest. Speaking of the greatest a capella metal band of all time, Dave and I are in negotiations to do a 20 concert, 13 city, 10 day tour over six days in New Orleans starting sometime around the 3rd of October. Yes, that’s the day of the Run the Jewels concert. Yesterday was a crazy day. I found out that somebody killed Batman over the weekend. Don’t worry, he’ll live forever in the Gotham City of my heart. I also got more treasures in the mail. 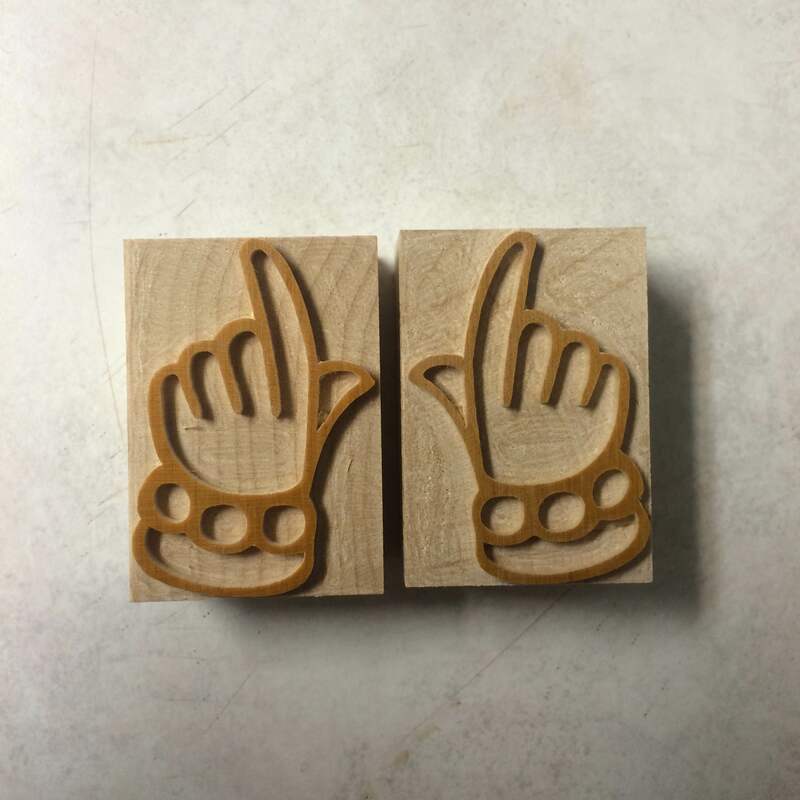 This time from Virgin Wood Type. Behold! Yes, I know that those manicules appear to throwing up the Wu. And yes, I know that they also look like the goal posts in a paper football game. Both of which will probably appear on a postcard. I also got the supplies for the printing gig at the beginning on September. Everything but the black ink. Which should be here soon. Today is another day of madness. Mostly cleaning up the leftover chaos from yesterday.